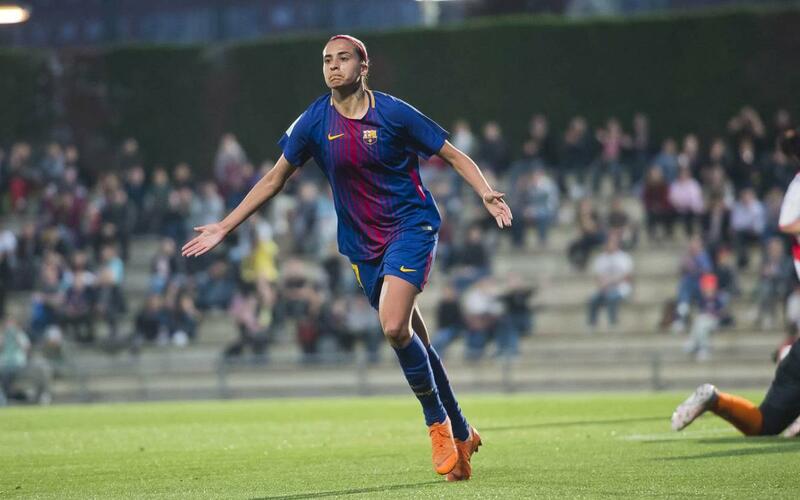 What a Saturday for the Barça women’s team! Fran Sánchez’s side was simply outstanding against Rayo Vallecano and took three vital points in style – banging seven goals thanks to Alexia, Andressa Alves (2), Martens, Mariona Caldentey (2) and an own goal from Auñón. They were playing just after news had come though that leaders Atlético had narrowly won their own game 1-0 against Levante and will be crowned champions if they beat Zaragoza on the final day, next Sunday. But Barça aren’t going down without a fight. All they can do is win their games and hope. Next week it’s Levante, and this week it was Rayo, and they got the first part of the job done in emphatic style. Alexia converted a corner after just six minutes, and as the visitors pushed forward in search of a response, the Catalans punished them at the back. Andressa scored a wonderful goal, next up it was Martens with a perfect chip, and the gift of an own goal shortly after the break put things well out of reach of the madrileñas. Andressa bagged a second, Caldentey stuck away a penalty and the Majorcan added another before the end to round off a wonderful day for the ladies.